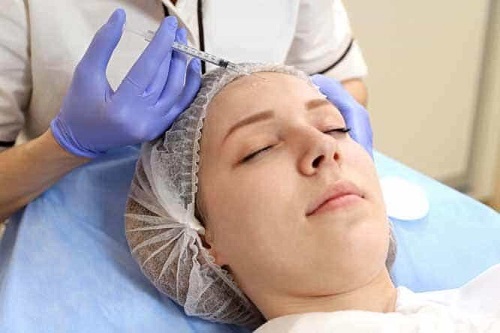 We offer Foundation course in BoNTA (commonly referred as Botox) presented by our experienced faculty. The foundation course is suitable for Doctors, Dentists and Nurses looking to enter the field of aesthetic cosmetic treatments. The course is run by fully trained practicing aesthetic doctors and nurses who are not only trainers in this field but also have years of practical experience. The Foundation Course in BoNTA covers the fundamental principles relating to BoNTA. BoNTA is the most requested non-surgical procedure in cosmetic treatments. It is typically used to treat lines and wrinkles caused by activity of the muscles (dynamic wrinkles) of the upper face. BoNTA treatment for upper face lines (Forehead, Frown and Crow’s Feet) is the most requested procedure in aesthetic medicine. It can also be used for lower face and neck. The Foundation course cover the theory of BoNTA treatments and is heavily designed on practical sessions on treating the dynamic wrinkles of the upper face. The trainers will assess you throughout the length of the course and certification is awarded once the student has demonstrated full competence in all areas of the curriculum. Once certified the delegates will able to enter the exciting world of aesthetic treatments. Course fee: £650. Course fee includes lecture notes, all the products used on the day, lunch and 5 days of observational experience with our experienced trainers at one of our clinics. DR R Baba, MBBS, MD, FRCA, EDIC. Starlene Grandy-Smith, RN, BSc(Hons), SCP. DR Y Latoo, MBBS, FRCA. Practical assessment of the face and discussion on which treatments to recommend for particular client needs. Questions and Discussion on legal implications and setting up an aesthetic treatment business. NB: All the delegates are encouraged to attend 4 full day sessions at one of our clinics with one of our trainers after the course to gain more experience in the field of aesthetics. During these sessions, the delegates can only observe various treatments after taking permission from the client. They can also perform treatments on their own clients once appropriate insurance is gained, under supervision of our trainers. Previous delegates found this experience invaluable.